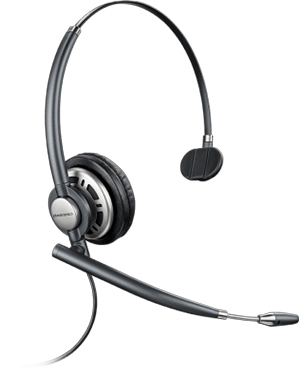 Plantronics EncorePro HW710D Monaural Headset is considered a high performing headset perfect for users who take care of modern to heavy volume of calls. This award-winning and comfortable headset showcases a premium look perfect for office-setups and professional environments. 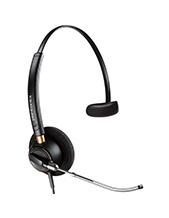 Considered the company’s top-of-the-line headset, Plantronics EncorePro HW710D Monaural Headset has been structured to cater to customer service representatives. What makes it perfect for these kinds of customers is the fact that the headset is comfortable for all-day usage, with its lightweight materials, padded headsets, and leatherette ear pads. 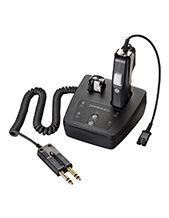 It has a unique and flexible telescoping microphone that can be pivoted to the position that the users feel most comfortable with. Get to know this digital phone better by calling Telephonesonline hotline at Australia wide 1300 131 133! Plantronics since then has delivered high quality headsets worldwide, using that event as a pedestal for all the products and solutions that it offers. Headsetsonline Pty Ltd is an Australian enterprise focused on delivering audio and sound products and solutions to the market. Started as part of popular company offering quality headsets to corporate sectors and government agencies since the year 1998, it has gotten enough experience in providing the market with the most ideal products and services to cater to their specific needs and preferences. Headsetsonline has been offering high quality products and solutions by choosing Australian distributors over grey imports. This choice allows the company to provide Australian standards certified products and solutions together with warranties that are covered all over Australia. Getting products and solutions from Australian distributors ensure that all offers are high quality. 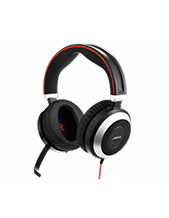 Headsetsonline operates through its secured and enterprise-encrypted website, Headsetsonline.com.au, where customers can easily skim through the entire product portfolio, check out the products they need, and have them delivered with flat shipping rates all over Australia.